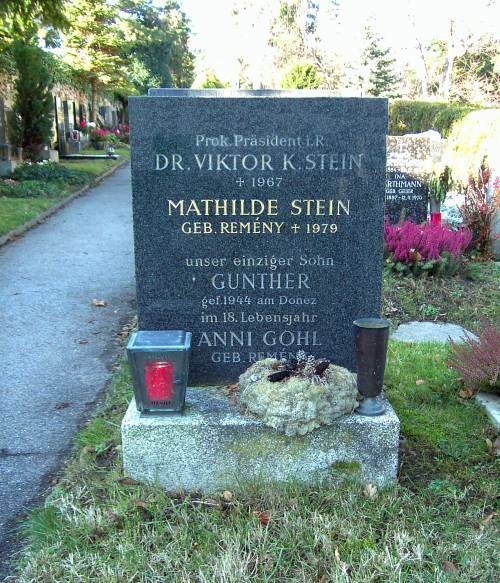 On his gravestone he is named "Viktor K. Stein". I don't know what the 'K' stands for. 1967. Viktor was buried in Grinzing, 19 Nov. 1967. 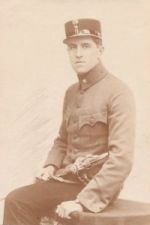 I posted this photo of Viktor Stein on a family history forum and asked if anyone could tell me more about him. hierbei handelt es sich um einen Leutnant eines k.u.k. Infanterie Regiments....es gab einen Viktor Stein beim k.u.k. 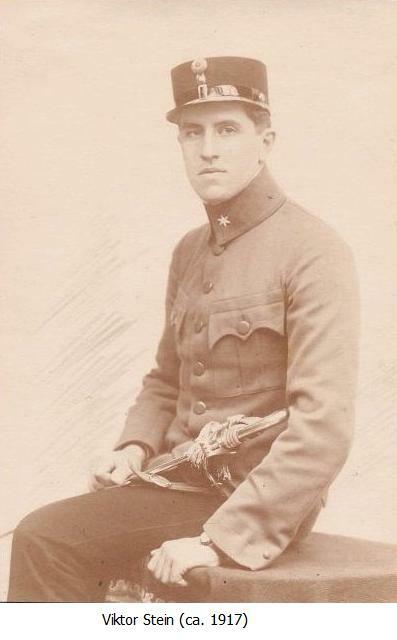 Galizischen Infanterie Regiment Nr. 55. This is a photo of a Leutenant in a k.u.k. Infantry Regiment ... there was a Viktor Stein in the k.u.k. Galician Infantery Regiment No. 55. In another request I had asked whether anyone in Vienna could take a photo of Viktor's gravestone for me. A forum member, T., very kindly did so (see photo above). Fortschritt und Barbarei : Österreichs Finanzverwaltung im Dritten Reich by Wolfgang Fritz. Viktor is described there (in 1938) as a Prokuratorsoberrat . I can't find a translation of that, so I'll just say it looks like he worked as a very high official in the Finanzverwaltung (Fiscal Authority, Finance Administration), later becoming president of the Finanzprokuratur. Finanzprokuratur: Federal Financial Agency with power of legal representation, agency under the jurisdiction of the Finance Ministry responsible for handling the legal aspects of federal assets, in particular for representing federal assets in a court of law. Legal claims for financial compensation against the Austrian government can be filed with the Finanzprokatur. "Die österreichische Finanzverwaltung und die Restitution entzogener Vermögen 1945 bis 1960"
Victor's son was killed in World War 2. 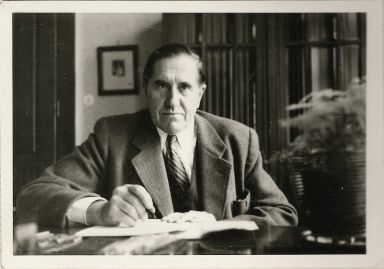 As a result Viktor Stein refused to visit his relatives in Britain after the war. for all their help in finding information about the Stein Family.